Online education offers many benefits and advantages while still providing programs and courses of high quality. The best thing about online learning is that you can access and read all the articles and online courses in your smartphone while you are travelling. “Anyone who stops learning is old, whether at twenty or eighty. Anyone who keeps learning stays young.” — Henry Ford. Students also save money, since some online programs are free of cost, and students have no transportation expenses. Individuals who have children also may study at home and save on the cost of child care. Students may also be able to reduce the total course time if they can devote more time in single sittings. With online learning, a student may develop the technological skills needed in their future careers. Knowledge of the functions of the Internet, typing and software programs are necessary to be considered digitally literate, and online learning helps strengthen these skills. 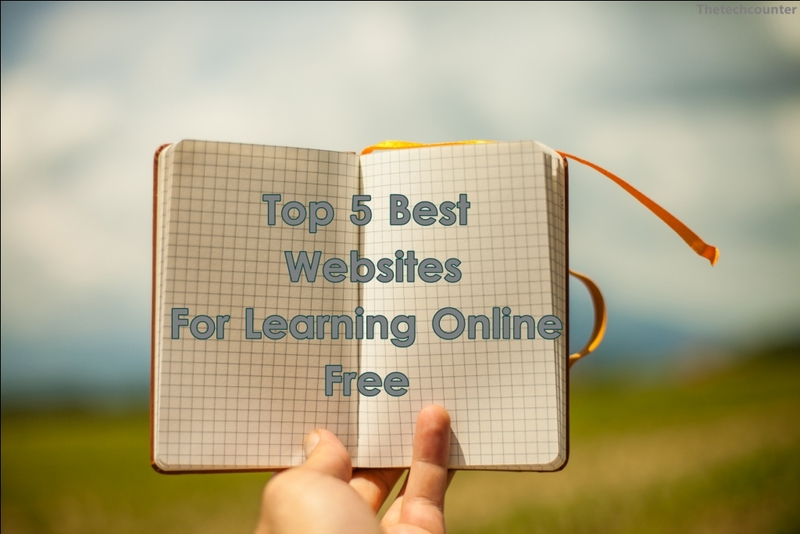 Here I can Share a List Of Online Learning Websites that I've tried and loved to share . Who says learning should only be in the form of taking classes? Quora is a question-andanswer website where questions are asked, answered, edited, and organized by its community of users. It aggregates questions and answers by topics and sends you notifications when the topics you follow or are involved with have new feeds. Although there’re many other Q&A websites, Quora stands out for at least the following reasons. It requires users to register with their real names rather than a screen name and the site is essentially unusable if not logged in. This level of transparency can ensure the quality of questions and answers. Moreover, many famous people, from bestselling authors to successful entrepreneurs or CEOs, are active on Quora and contributing their expertise to the community. Khan Academy, a non-profit educational organization created by Salman Khan, produces micro lectures in the form of YouTube videos. All the subjects are free and include Math, Science, Economics and Finance, Arts and Humanities, Computing, Test Prep, and Partner content. Instead of providing traditional collegiate coursework, Udemy.com is a platform for experts of any kind to create courses to offer to the public, either at no charge or for a tuition fee. Its courses include such topics as personal development, design, marketing, lifestyle, photography, heath & fitness, teacher training, music, language, and so on. This may appeal to a wide range of population. Unlike MIT OCW offering courses from one university i.e. MIT, Coursera provides free online courses from a variety of top universities. It also offers certificates for purchase by students to demonstrate their completion of courses. Founded in 2012 by two Stanford professors, Coursera includes video lectures in almost all courses and holds forums where you can interact with classmates and teachers. EdX is another open online learning website. It was founded by MIT and Harvard also in 2012 like Coursera, but the difference is that it is non-profit and runs on an open-source software platform.